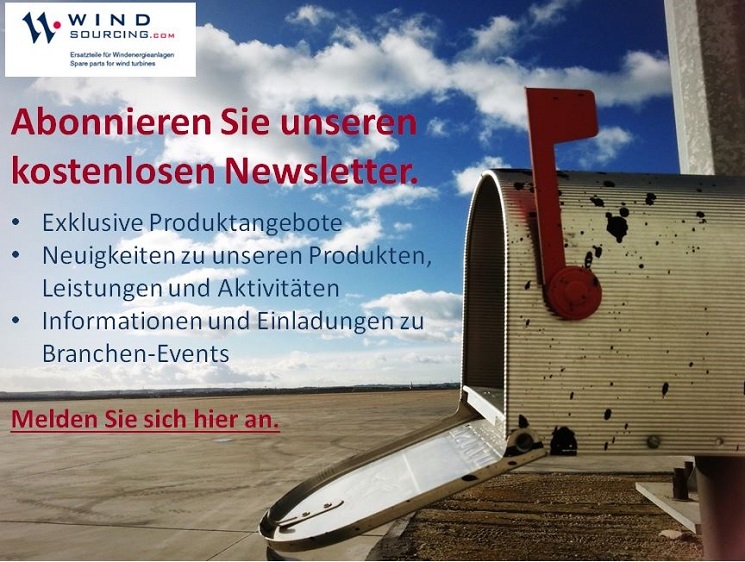 Produktinformationen "Mita-Teknik WP4084 Schwingungsanalysegerät CH. 1+2/RS485 Node No. 101, Gear, 972408423A"
Surveys vibrations in up to 2 directions. - Self-test circuit for vibration sensor check. - RS485 communication. - Setting of all parameters by using a supplied PC program or via the WP controller by communication. WP4084 is used for surveying vibrations in up to 2 directions. It surveys that critical vibration levels are not exceeded. The frequency range is of 0.1-5.0 Hz and vibration range 0.01 g to 0.300 g. Used for permanent surveillance of low frequency vibrations in wind turbines and other applications. 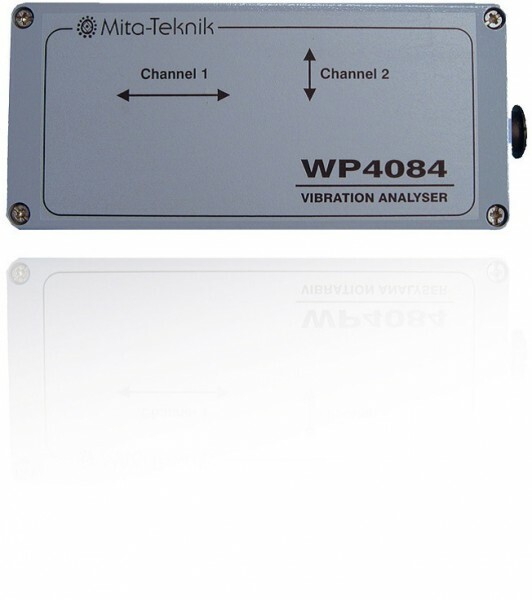 The measurement of vibrations is done by means of one or two accelerometers mounted in the WP4084. With two accelerometers it is possible to measure vibrations in x and y direction. With one accelerometer in the x direction, one or two frequencies can be monitored. The WP4084 provides permanent surveillance using an internal alarm level. The alarm level and the delay time can be set by the user. The measurement of vibrations is done by means in the vibration level. The alarm circuit has potential free relay outputs. The alarm is intended to operate a remote warning system and can also be used to shut down the monitored process. The internal watchdog surveys the power supply, cable ruptures and accelerometer test function. The accelerometer self-test is automatically executed every hour. The PC is used for parameter setup by means of a PC program supplied by us. The PC is useful during installation and periodic maintenance if there is no permanent communication to a main controller. The PC program makes it possible to adjust: Center frequency Fo, bandwidth BW, alarm level, delay time and relay function. If the WP4084 is connected via communication to one of our controllers the adjustment will be done via the controller. Hereby, it is possible to define a lower warning level for preparing the next maintenance of the monitored process. Weiterführende Links zu "Mita-Teknik WP4084 Schwingungsanalysegerät CH. 1+2/RS485 Node No. 101, Gear, 972408423A"